Of course, these chunks of hardened snow & ice, after becoming detached from one vehicle and becoming airborne, fly rear-ward, and strike the windshield or hood of the vehicle(s) immediately behind it. Upon suddenly seeing such a large and dangerous object flying in the air about to hit his or her windshield or hood, the brain immediately tries to either block the incoming object, or evade it. This means that the driver behind the vehicle that has jettisoned its snow or ice fragments due to wind speed, will many times instinctively and without time to think – flip their steering wheel to the left or right, almost certainly resulting in a serious motor vehicle collision. 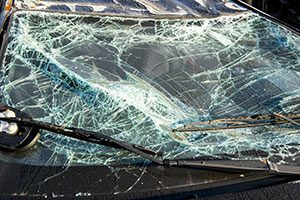 As bad or worse a driver reaction: As a Boston area car accident attorney, I’ve seen some cases where the rear-most driver about to be hit by such projectiles, suddenly take his/her hands off the wheel – placing them in front of their face in a reflexive attempt to protect his/her face. The outcome of that scenario is no prettier. I’ll talk about the penalties for this kind of inanity, in my next post on this subject, in a few days.